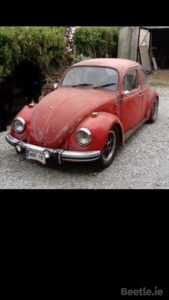 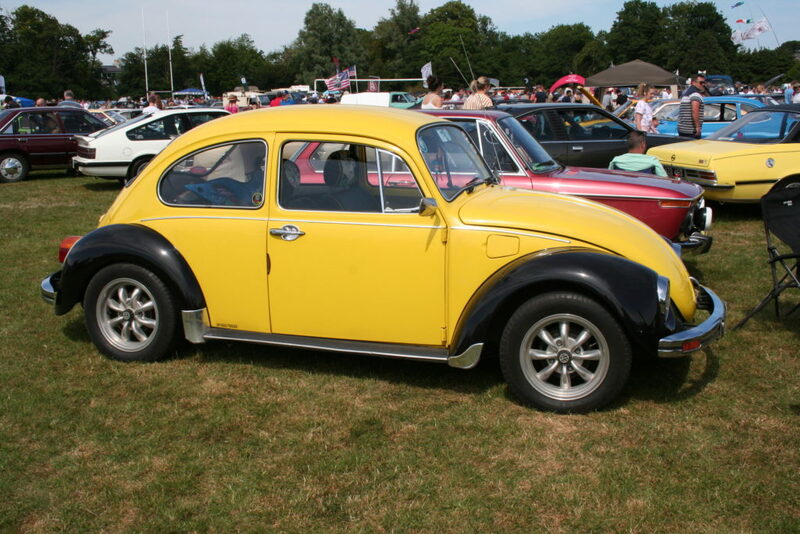 Anyone who has been to classic car events around the east coast will be familiar with this Beetle. 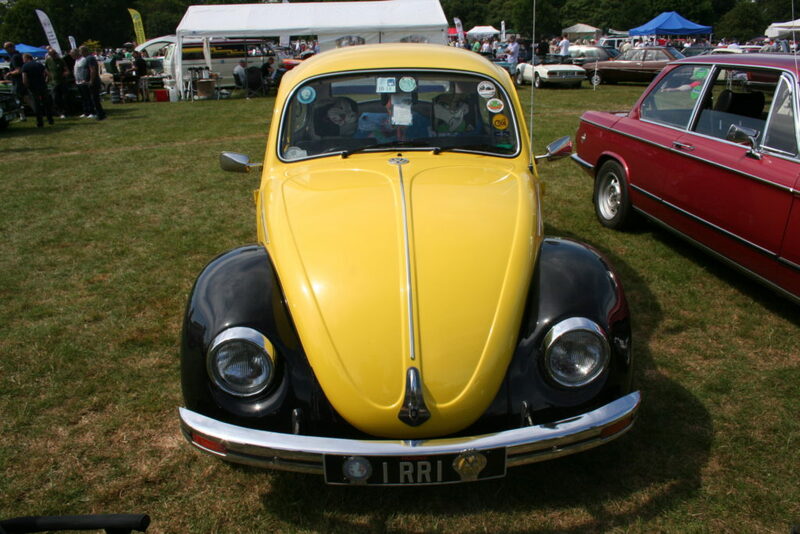 Its distinctive yellow and black colour scheme means you can’t miss it! 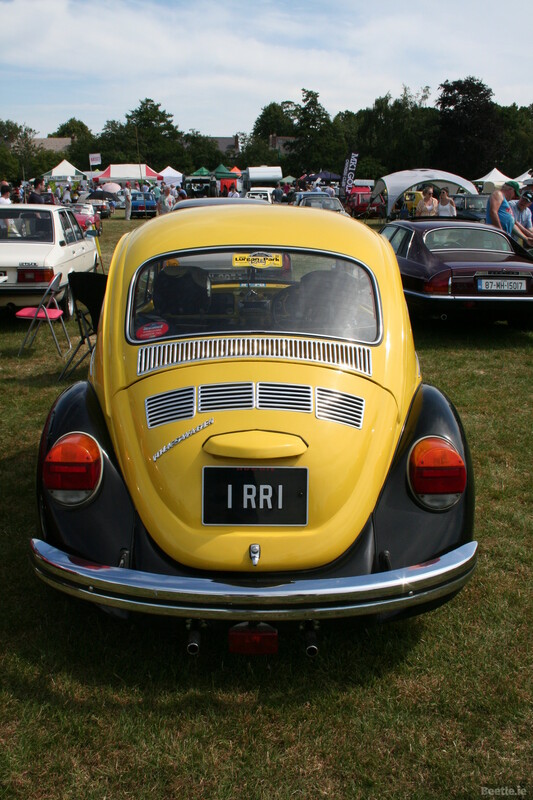 The February 1975 Dublin registration of 1 RRI stands out amongst a sea of ‘normal’ registration plates. 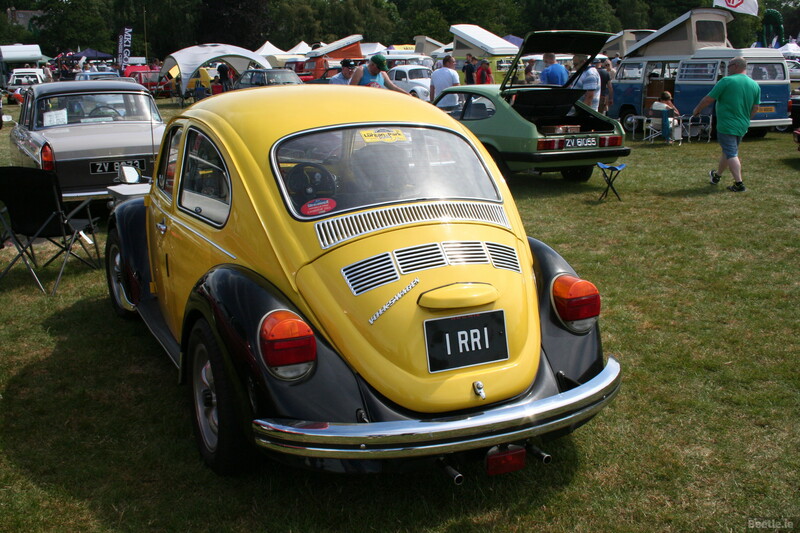 It was been restored by Emilio’s Beetles and features engine lid vent trims, rear window vent trim, front and rear stone guards, a bonnet handle backing plate as well as high back seats and EMPI 8 spoke rims. 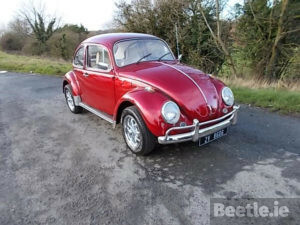 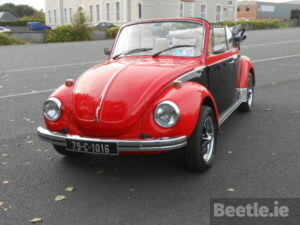 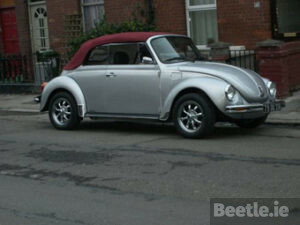 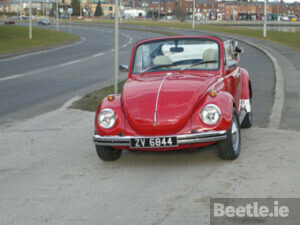 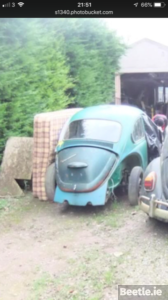 This Beetle is clearly the pride & joy of its owner and rightly so, it’s a sweet Beetle.